RISE UP for women and girls with disabilities for 12 days? for 16 days? Hell no! Until we get it right! In November 2016, I was invited to present to the Parliamentary Committee for the Status of Women, or FEWO as they are referred to, who are currently doing a study on violence against young women and girls. Instead of preparing a Brief (okay I didn’t have time anyway!) I got fired up and gave a bit of stump speech because we need to get Parliamentarians to respond to the fact that it’s nearly 2017 and there are still no resources to speak of for girls with disabilities facing violence, even though they experience violence at higher rates and more frequently than any other group of young women and girls in Canada. During a 3-year project which included community consultations with women with disabilities in 13 communities across Canada, we heard over and over again that women with disabilities are tired of sharing their stories and issues but still not getting the support they need. Our newest project once again confirms this. Early results from this project, entitled Legislation, Policy and Service Responses to Violence Against Women with Disabilities and Deaf women in Canada already shows strong evidence of enormous gaps in policy and program delivery for women and girls with disabilities. Policies tend to be reactive if they exist at all. Legislation specific to disability (for example, the 10 year old Accessibility for Ontarians with Disabilities Act) is not applied from a gendered perspective. And any policies that appear to have merit are generally just that – well-written policies with no champions, no funding (read no programs, no services or none specifically for our needs), and consequently no results. For example, although technology provides great opportunities for supporting women and girls with disabilities, it also represents another avenue through which girls with disabilities are vulnerable to bullying or exploitation. But once again there is no legislation or policy in place to protect our young women in this rapidly changing environment that dominates youth culture today. 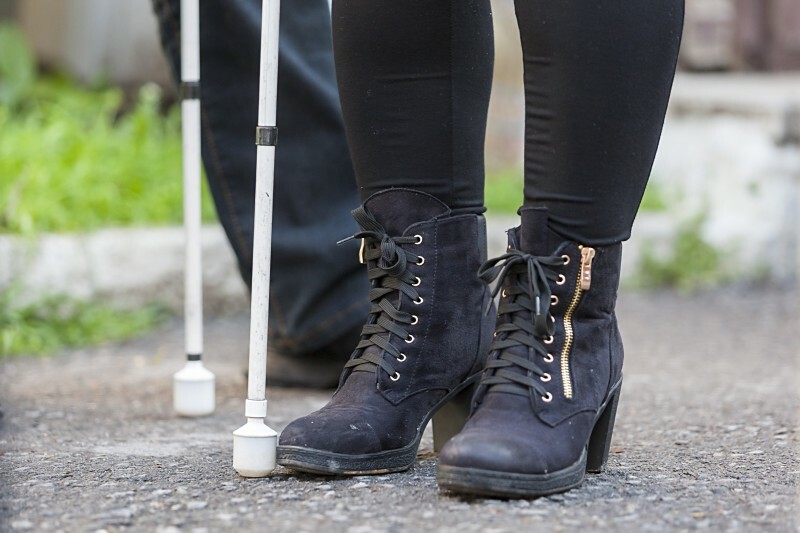 The rates of sexual violence, physical violence, verbal violence and systemic violence are at least 3 times higher for young women and girls with disabilities. If we had the courage as a country to really look at childhood sexual abuse and to gather THAT data we would again be looking at the alarmingly high rates among girl children with disabilities. Last year CBC broke a story that got very little national attention. A young woman with an intellectual disability was sexually assaulted on a public bus in Winnipeg, while her support work sat two seats ahead of her, listening to music on her iPod. What are we doing at DAWN Canada? I am very proud to share with all of you blog readers and writers, a recent and exciting partnership we have with the Girls Action Foundation, funded by a grant from the Canadian Women’s Foundation for the next 4 years. Focused on their 9 -13 year old girls programming, Girls Action Foundation and DAWN Canada will be collaborating for the next 4 years to see the inclusion of girls with disabilities and Deaf girls in these mainstream girls programs – this is the most exciting pay it forward and positive project we have yet to do and means so much because it is about our future, about girls with disabilities as the confident, resilient leaders they need to be if things are ever going to change. This kind of uptake and leadership shown by Rachel Zellars and her team at Girls Action Foundation – of accepting responsibility for ALL girls is sadly lacking elsewhere. There are but a handful and I really do mean a handful of peer support groups for women with disabilities and NOTHING for girls with disabilities or young women with disabilities. NOTHING for those who are experiencing violence at the highest rates? How can this be? Canada MUST do better – this is about collective responsibility, so for the next 16 days and every day after, each of you who has read this can now RISE UP with us for girls with disabilities.